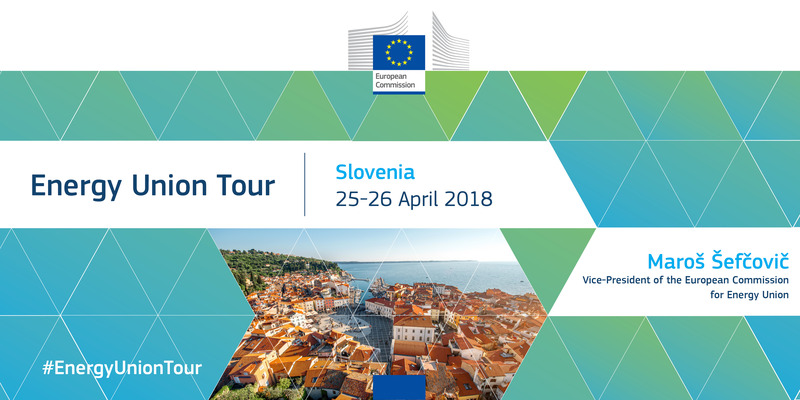 As part of his second Energy Union Tour, Commission Vice-President for Energy Union Maroš Šefčovič will travel to Slovenia on 25-26 April. He will meet the Minister of Infrastructure Peter Gašperšič, with their talks focused on the Clean Energy Package, preparations of 2030 national energy and climate plans and clean mobility. Together, they will participate in a conference on the energy transition co-organised by the Ministry of Infrastructure and the Chamber of Commerce and Industry, followed by a joint media statement at 10:30 on Thursday 25 April. Vice-President will also visit the European Agency for the Cooperation of Energy Regulators (ACER), and meet members of the parliamentary Committees on EU Affairs and on Infrastructure as well as representatives of civil society. Together with Commissioner for Transport Violeta Bulc, Vice-President Šefčovič will take part in the TEN-T Days Conference to discuss ways to contribute to innovative, clean and safe mobility and to forge additional synergies between transport, energy and digital connectivity, also in the context of the upcoming proposal on the EU budget for 2021-2027. I welcome Slovenia's work on its national energy concept, which could serve as a basis for the 2030 national energy and climate plan – an important tool to attract investments and maximise benefits of the ongoing energy transition. The country's innovative and clean tech spirit can create many business opportunities as well as mitigate high dependency on fossil fuel imports. The starting point is rather good, as Slovenia has already reached its 2020 targets on greenhouse gas emissions and is well on track to meet its 25 percent renewables target. But there still is tremendous potential that can be untapped for instance, in renewables or energy efficiency. I can see Slovenia as a regional catalyst in this field.